If you are a regular reader of the Bible, then you know sometimes verses or passages speak a message to you at just the right time. It’s as though the words literally jump off the page into your life. It’s truly interesting how often that happens, almost like God planned it that way. The more I read about the Apostle Paul, the faster he is becoming my hero. Here we have a man who persecuted the early church, who turns believer in Jesus, and then goes on to travel the known world as an evangelist. Along the way, he starts churches and converts thousands to Christianity. All the while though, he faces tremendous opposition from the religious traditionalists and from local authorities who didn’t appreciate how his preaching was touching the hearts of the people. On multiple occasions he was beaten and thrown in prison. One time he was stoned and left for dead, an incident that many think caused him to suffer partial blindness the rest of his life. In the verses I listed above from I Corinthians, we learn he was often hungry and thirsty, poorly clothed and homeless. This doesn’t sound like a picture perfect life. Yet, despite the pain and suffering his life and ministry dealt out, what do we see him doing? Continuing to work, laboring with his hands. That may seem confusing considering Paul was a missionary, a professional speaker. So where’s this “laboring with your hands” coming from? Wouldn’t he just be talking all day? Turns out Paul had a little side hustle going on – he was a tentmaker. So in addition to the support he received on occasion from churches, he earned a living for himself by producing and selling tents at the various cities during his travels. No amount of pain and suffering was going to stop him from working. His ministry had to keep moving forward. So does your life need to keep moving forward, no matter what state you are currently in. Do rough times often come? Sure. The pressures of life can really beat us down. Pain and suffering knock at our door and we feel helpless to quench them. All our efforts leave us emotionally hungry, vulnerable and helpless. Realize though, even if it seems so, we are never completely helpless. No offense, but Paul faced worse than you or I, and he kept pressing on. He didn’t give in. He supported himself when no one else would and continued the ministry God had called him to. That should serve as a great example and encouragement to us. What insurmountable mountain are you facing today? Does the pain and suffering have you locked up ready to call it quits? If so, it’s time to take a step back and evaluate the circumstance. What can you do to improve it? Are there truly obstacles in your path or simply excuses? 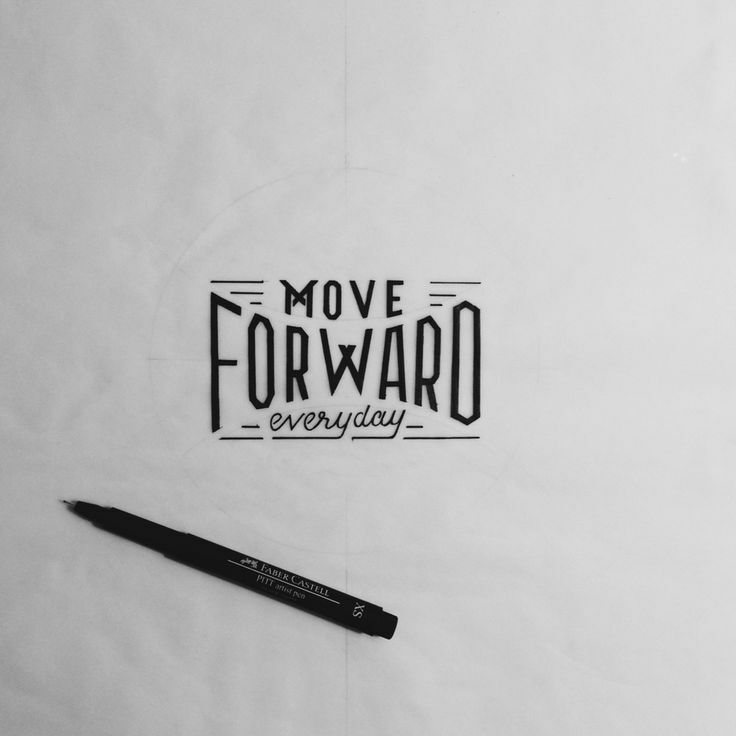 What can you do to keep moving forward each day, even if just a little bit? Is there anyone who can help you face these giants of life? I know one person who is available. He’s the same God who called Paul to preach and spread the news of Jesus to the world. He will always be with you through the pain and suffering, even when all others desert you. If your ready, he offers you a gift today that will revolutionize your world. Questions: How have you made it through the difficult times? What do you do to keep moving forward? What steps do you take to evaluate why things seem to be going so bad? What one thing always seems to beat you down or put the pressure on? I totally resonate with continuing on in spite of my circumstances. I struggle with the depression bug on and off and when it hits it feels like I’m carrying a ton of bricks over my head. But I have to get up and keep on keeping on because that’s the only way. It actually helps you get through troublesome times to continue on in life. If you just sit there and mope, your life isn’t going to be better. So staying busy and doing what you’d normally do, continuing the work of your hands (or continuing the work of your relationships), actually helps you heal quicker from any problem you’re facing, whether it be emotional, financial, relational, or whatever. Thanks for sharing Lisha and clicking over from KNS…I love what they are doing over there. It’s really hard dealing with suffering. I understand and can really see why people do “sit and mope” as you say. The pain can be very deep. Sometimes it takes a little while to get back on our feet, but you do eventually have to keep pressing forward. Life doesn’t end just because it gets tough. Great article. I often think of when Paul says “…I can do all things through Christ who strengthens me”, realizing that he covered the whole spectrum of what is going on in life in this statement. He could be poor, rich, abounding, or abased, etc. As someone with a chronic illness, thoughts about my situation arise many times, and the purpose for it, but I am convinced to lean on God’s Providence. Whether chastisement, an attack from the enemy, a test, or something beyond my understanding (etc. Job) – God is the constant in every situation. He sees, He cares, and He will get the glory from it. Thanks for sharing. I love Paul’s reminder in that verse Sherrian. No matter what we are going through in life He will be there for us and more importantly has a plan for us (that we often don’t see right away). Brian ~ very good point you make about excuses. I like to add to this by saying that sometimes we make excuses about why God is not going to help us. That our problems are too small compared to those of others and we feel guilty even thinking about praying to God for help. Even though to us, those problems are like big festering wounds that we can’t seem to get to heal. But as you say God is available and it pains him to see us suffer. But we must put our trust in God, to see us through our trials. I am not the best at practicing this but I am learning. I have great faith that God will help all those I pray for, but I do not have trust that he will help me. Why do I downplay my sufferings and not allow God to build me up and help me? I try to read the daily bible reading each day. Often, as you say, there is great meaning and just at the time it is needed. Appreciate the thought DD. I think what you are expressing is not uncommon. I’ve come to learn that the “God will not help me” message that goes through my head does not come from Him. It is a message sent from our enemy designed to diminish my value and keep me from communicating with God through prayer. God sees and loves all his children and my sufferings, no matter how small, are of great importance to Him. It’s true. Suffering is relative. So it’s more about how it’s causing us to feel, and how much it’s bringing us down, than the greatness of the actual thing that’s causing the suffering. Brian – you are so right! Gotta ignore that message. It’s unproductive and more importantly it is interfering on my relationship with God. Almost like he does not have time for me which, when I think about it, is ridiculous. More like I don’t make time for him. Lisha – Agreed, and sometimes we logically look at the thing causing our suffering and are hard on ourselves, saying that this wouldn’t bother someone else as much as it’s bothering me. Then we feel guilty having a pity party over it. To not give credence to that, I’m trying to live in the now based on the book by Eckhardt Tolle. It’s deep and not always easy to put it into practice based on many years of habit living a different way, but I think there is great merit in it. I think for me right now that’s my job. I think though for the longest time I’ve just dealt with it, with what, expecting it to change? This is why I started looking for full time. I HAVE to do something about it. “…just dealt with it, with what, expecting it to change?” I think many, many people are in this same situation…hoping things will change so they don’t have to step out and pursue something new (and maybe scary). After awhile, there really is nothing else to do other than to take matters into your own hands. I think what you are doing is a positive step, at least to explore your options.